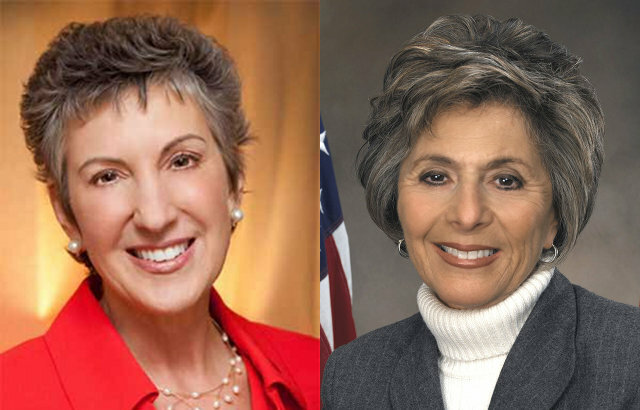 In this August release, Fiorina trails boxer 40-45 (MoE 4.5). It’s a small lead, but repeating a small lead in many polls adds extra credibility to it. But if Boxer were to carry this 53/47 D+6 two party split to November, it would be a staggering drop from the 60/40 D+20 two party split drubbing she dealt to Bill Jones last time out. Boxer appears to be a polarizing figure in the state. Her net favorability runs at +1, but the scale is heavily weighted with peaks at the ends, where 26% find her very favorable, and 32% find her very unfavorable. However Fiorina is at +4, and her ratings tend more toward the middle, with a peak at 35% finding her somewhat favorable. Californians are basically evenly split on whether Boxer is an extremist, with those finding her a mainstream candidate barely coming ahead at 42-41 over those finding her extreme. Fiorina though has a clear lead in the mainstream category, with mainstream coming ahead 40-32. Again, I think it’s clear that Boxer leads, but she’s just showing all the classic signs of an incumbent being vulnerable, something that’s unprecedented since Dianne Feinstein and Barbara Boxer were first swept into office together in 1992. That’s why we’re seeing Planned Parenthood announce plans to spend a million dollars to help her, and we’ve seen Barack Obama announce two trips out to California to raise money for her. All the signs say she needs shored up or this race could get away from her.